These days, even the smallest of mishaps can result in large lawsuits. That’s why all of us at Patriot Insurance Agencies of North Carolina take your protection seriously. 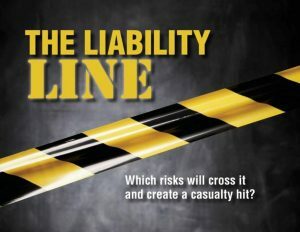 No matter how safe you try to make your business, accidents are inevitable. For those instances where a minor mishap turns into a lawsuit, an insurance policy can help protect your business. With general liability insurance in NC, business owners are able to protect themselves from potential threats. Coverage typically includes product Patriot Insurance Agencies recommends that all businesses have general liability coverage in place. Errors & Omissions (E&O) covers professionals for negligence and errors or omissions that injure their clients or cause damage to a third party’s data. This type of insurance is particularly important to licensed professionals such as accountants, attorneys, insurance agents, architects, engineers and technology companies. Patriot Insurance Agencies recommends that all professional and technology companies have E&O coverage. Employment Practices Liability Insurance for employers covers employment-related liabilities other than on-the-job injuries. This can include legal fees and damages for suits such as wrongful termination, discrimination, sexual harassment, and other alleged violations of employees’ legal rights. If you have employees, Patriot Insurance Agencies recommends considering this type of coverage. To find out more about these, as well as other products and services, call Patriot Insurance Agencies at 704-938-7888 and we’ll help make sure you’re properly covered.